Not so long ago, big pharmaceutical companies turned to contract manufacturing organizations (CMOs) solely to achieve efficiencies in cost, capacity, and time-to-market, or to obtain a specific expertise not available in-house. Today, these factors still also play a role, but the most dynamic driver behind the use of CMOs in the pharmaceutical industry is now rapidly becoming the unique, innovative, and state-of-the-art process and production technology they offer. Many CMOs have gone far above and beyond the immediate needs of their customers to create innovative homegrown processes and to implement the latest, technologically advanced equipment--technology that frequently surpasses that available at Big Pharma's own facilities. The total cost of pharmaceutical production includes not only the cost of building new plants. It includes the cost to maintain them, stay up-to-date on equipment advances, and to maintain a workforce of highly-skilled operators--operators with more than just the knowledge to run them, but with the expertise and experience necessary to continually update and improve them. As the pharmaceutical industry moves deeper into the decade, the need to keep pace with next-generation process technology and process tools will only become more challenging--not only to meet increasingly tight cost-efficiency requirements, but in the case of many emerging pharmaceutical products, to make viable commercial production possible at all. To meet this need, CMOs are already expanding and upgrading their existing plants, as well as building totally new, next-generation facilities. And, they're also investing heavily in outfitting them with state-of the-art, highly-automated equipment. In addition, however, CMOs are applying their own expertise to advancing pharmaceutical process and manufacturing science and technology, contributing significantly to the development of new and innovative tools and systems. One example of this innovation can be seen in the extent to which automation is being incorporated into CMO processes and operations. For example, Quintiles Preclinical and Pharmaceutical Sciences (Kansas City, MO) has implemented an automated robotic powder dispensing system that gives drug developers the flexibility to work with a broad range of drugs and dosage levels without having to per form extra formulation, analytical, or stability work. The completely validated robotic components can be used to fill either capsules or bottles and is fully automated, allowing it to run overnight without human intervention. Designed for small-scale clinical supply, the system can produce 60-100 capsules or bottles per hour and handle a variety of dosage levels such as 10mg, 30mg, 60mg, and 100mg capsules. "A computer can weigh things out faster and more-efficiently than a human can," observes Paul Skultety, vice-president for early development and laboratory services at Quintiles. 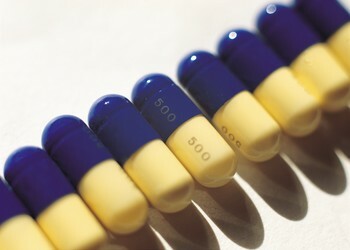 The system automatically weighs each capsule, identifying and reporting any errors for rejection. Quintiles has also invested in liquid-fill hard-gelatin capsule equipment that performs comparably to soft-gel equipment. Capable of filling 15,000 capsules per hour, the system incorporates an additional component that seals the capsules together to prevent leaking. As described by Skultety, the liquid encapsulated microspray sealing (LEMS) unit manufactured by Capsugel (Morris Plains, NJ), sprays the capsule with a mixture of water and alcohol. The spray is aimed at the point where the cap and body meet, dissolving a small amount of gelatin which, when dried, seals the cap and body together. Althea Technologies, Inc. (San Diego, CA), has implemented two types of automated fill-and-finish systems--"Flexicon Monoblock FMB210" vial-filling equipment (Flexicon, Denmark) and an advanced syringe-filling system, "INOVA SV122" (Inova, Green Bay, WI). Alan Moore, Althea's executive vice-president and chief business officer, points to a number of benefits provided through their investment in automation--the first being speed. "The automated vial-filling system can fill approximately 60 vials per minute and the syringe system can fill 75 syringes per minute," reports Moore. Roy Musil, senior director of quality control at Althea, points to increased accuracy as another benefit provided by automation to both manufacturers and patients. "The ability to consistently fill an accurate volume of liquid means a more-accurate dose for the patient, while the use of pre-filled syringes also saves the client money." Musil points out that with a vial system, each container holds a volume slightly over the recommended dosage, due to the fact that it's difficult for clinicians to extract the entire volume of liquid from a vial. In contrast, with automated systems producing prefilled syringes, overfilling is not necessary, and clients can save up to 0.1 or 0.2 mL per unit. "In the long run, when tens of thousands of units are filled, there are considerable cost savings," notes Musil. In addition, automated equipment also minimizes the amount of manipulation needed by technicians or operators. As Musil points out, "This both lowers the risk of product contamination and limits the exposure of operators to dangerous chemicals." Biotechnology-based pharmaceuticals. Biotechnology has become a particular focus area for CMOs as the number and variety of new biotechnology-based drugs, moving rapidly out of development and through the final phases of clinical trials into full-scale production, continues to grow. As described by Michiel E. Ultee, senior director of biopharmaceutical development and operations at Laureate Pharma (Princeton, NJ), "biotech-based products are growing at a rate almost twice that of conventional drugs." Though their arrival is certainly welcome to the industry as a whole, their unfamiliar and specialized manufacturing needs also present a number of new challenges for CMOs, who must not only provide the most advanced equipment and technology available to produce them, but also the expertise necessary to successfully implement and manage very complex and expensive processes. As pointed out by Ultee, "The development of the next generation of biotech-based pharmaceuticals will be very different from that of conventional small-molecule drugs." Ultee's view was supported at the most recent national AAPS meeting in Salt Lake City, Utah, where, as observed by Norm Alworth, RPh, pharmaceutical manager at MPT Delivery Systems, "Among this year's exhibitors were a host of companies presenting specific technology and products that didn't exist in this industry five years ago." Gala Biotech (Middleton, WI), recently acquired by Cardinal Health, focuses its attention on monoclonal antibodies and gene insertion/ expression technology. Gala's Gene Product Expression or "GPEx" technology is aimed at rapidly developing highly expressive mammalian cell culture lines and their use for the production of recombinant proteins. The company recently established a 43,000-[ft.sup.2] facility in Middleton, Wisconsin, for GPEx-based cell line development and CGMP-compliant protein production. Galas GPEx technology is based on the use of "retrovectors," which can be thought of as disabled retro viruses. Though retrovectors look like retro viruses, they don't carry any of the protein encoding genes of the virus, but rather the gene of interest (i.e. the gene for a monoclonal antibody). The technology has reduced the time needed to develop a stable production cell line for a target protein from as long as 18 months to just five or six. Says Michael Jenkins, PhD, Gala's director of business development and commercial operations, "In as little as three months, we can typically provide clients milligram-amounts of material from an unoptimized cell line. At the six month stage, we can provide a stable cell line in serum-free media at commercially viable expression levels" (see Figure 1). Jenkins points to the high transformation efficiency of the GPEx approach, noting that virtually 100% of the target cells are transformed. "This is a significant advantage when compared to other methods of gene expression such as transfection or electroporation, where insertion frequency can be as low as one out of every 100,000 cells and which can require additional selection steps and the use of selectable marker genes," says Jenkins. For bicistronic (and multicistronic) applications, GPEx allows multiple genes to be carried and inserted by a single retrovector, thereby increasing efficiency.